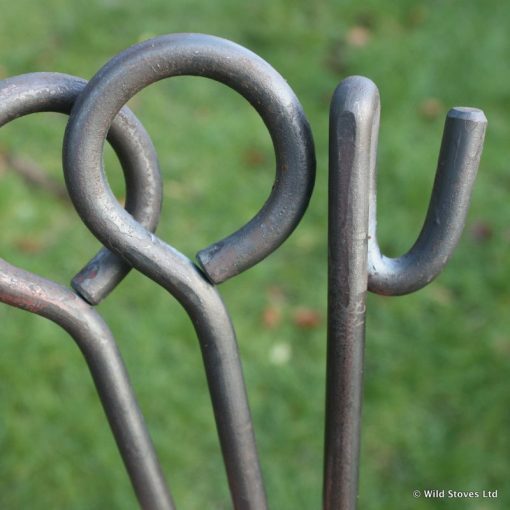 Hand-forged in Dorset, this is the perfect compliment to your campfire. 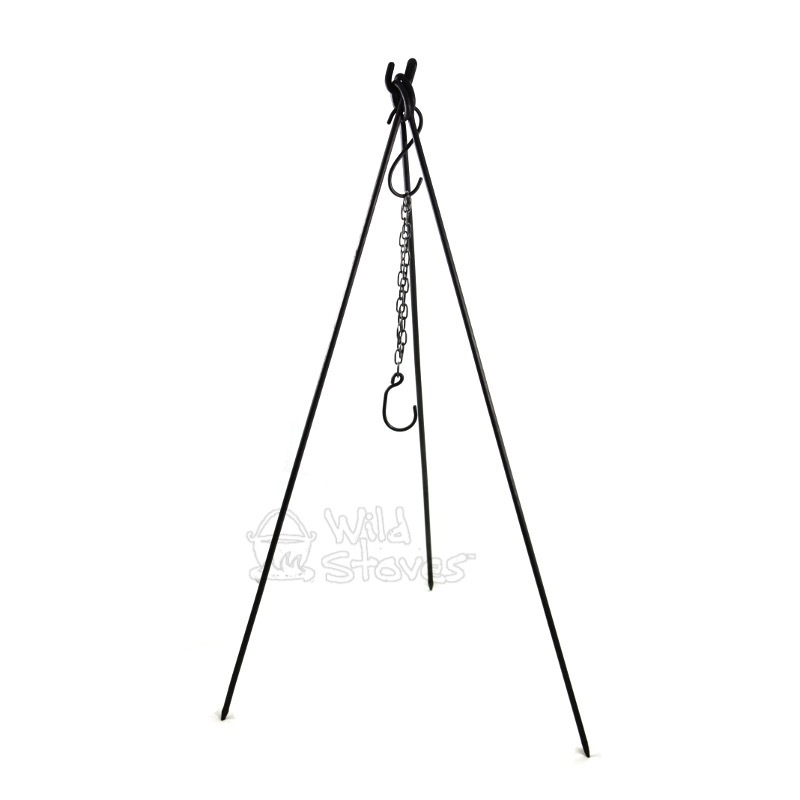 Incredibly versatile, can be used as standard tripod or as a horizontal hanging rack. 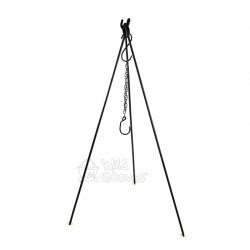 Ships with chain and hook. 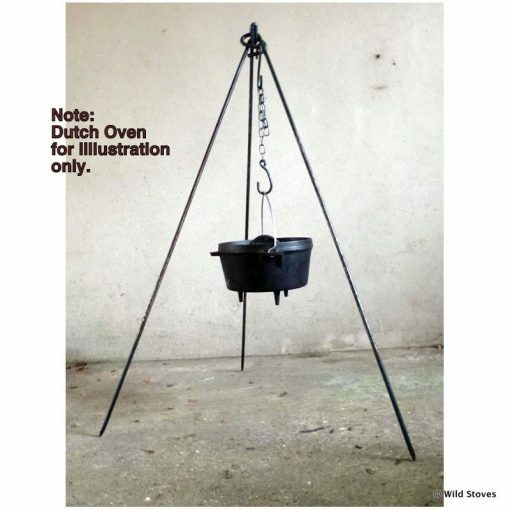 Dutch oven/ Trammel Hook etc not included. 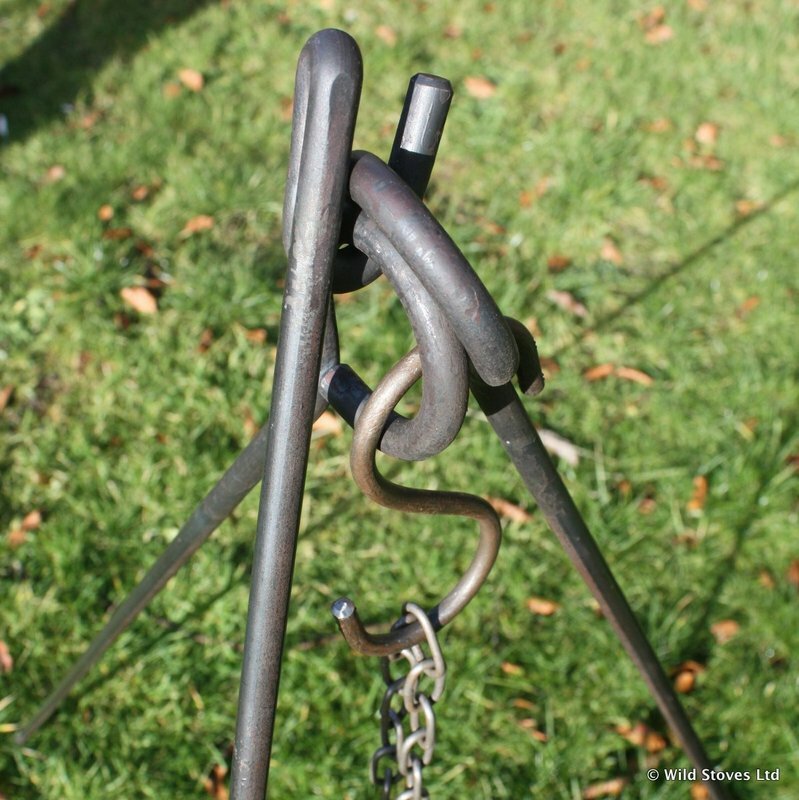 Hand-forged here in Dorset, this beautiful, sturdy campfire tripod is made from solid 10mm steel. Each tripod is supplied with a set of hooks and a length of chain from which to hang your cooking pot or kettle. 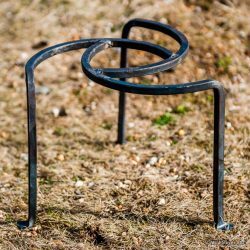 Unlike many other designs of tripod where the three legs are permanently fixed together, this uses a clever interlocking design that enables it to be used in two different configurations. 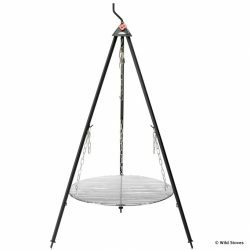 It can be used either as a conventional tripod, or two of the legs can be driven into the ground and the third placed horizontally between the two verticals to give a hanging bar, with room to cook multiple items. 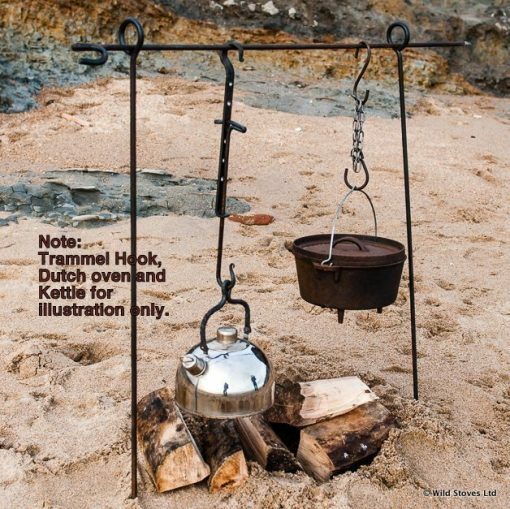 You can then hang pots, grills or kettles from the bar – with enough space to cook up a real feast. 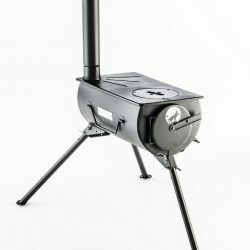 Handmade Grill (see drop-down option), sized perfectly for the 110cm tripod. 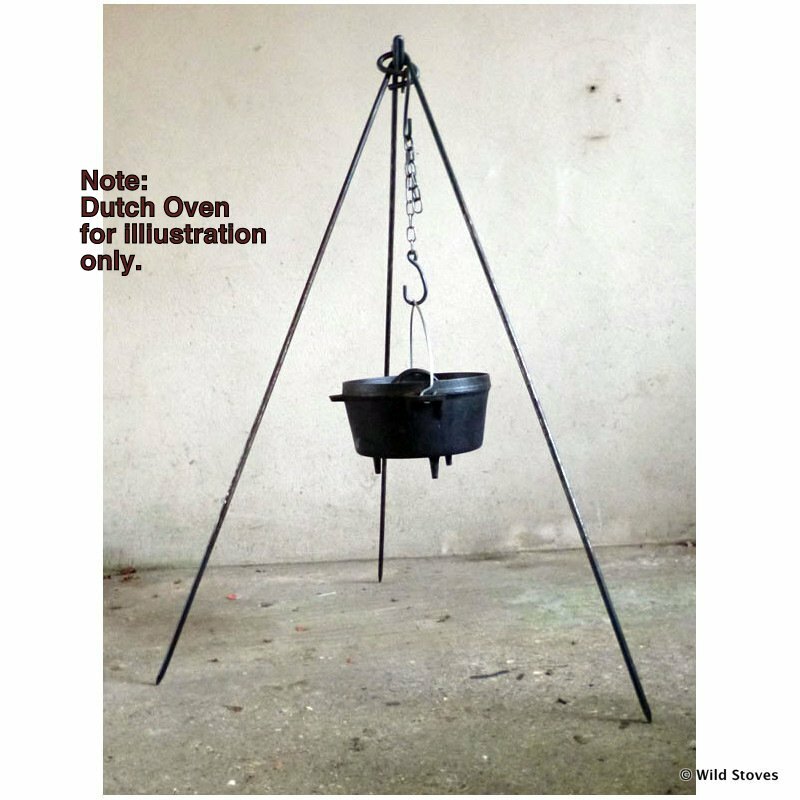 This can be used for direct cooking or supporting cooking pots & kettles. Measures 38cm (15 inches) in diameter giving plenty of cooking space. 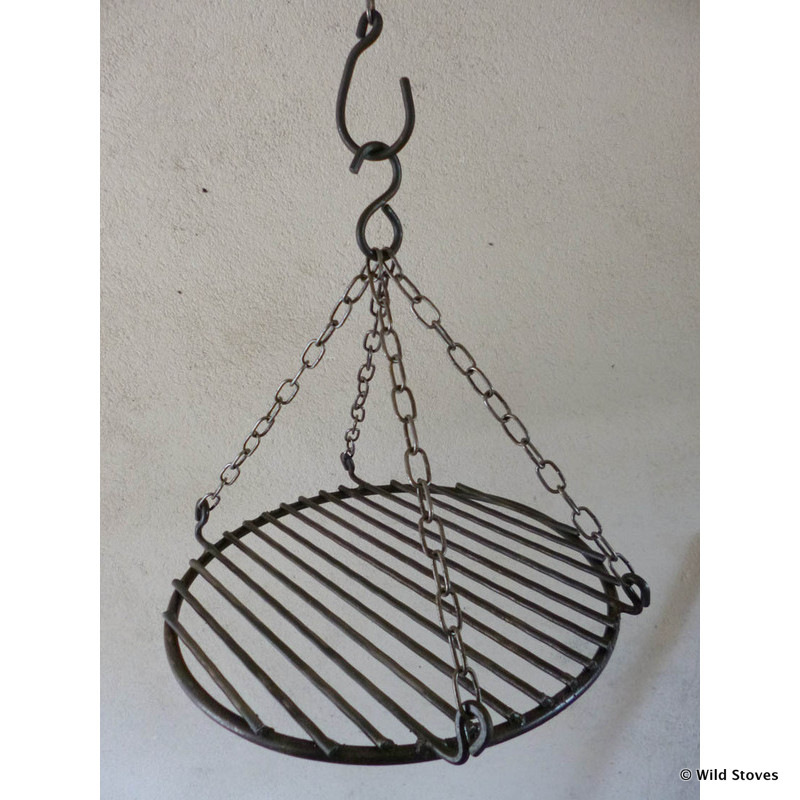 NOTE: this grill design has changed since photographed and now features 3 chains attached simply to the grill. Further hook and chain sets can be purchased for hanging more items from the hanging bar. 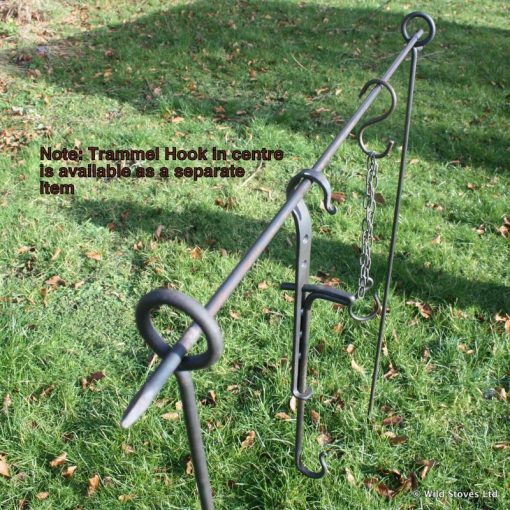 Handmade Trammel hook: an adjustable hanging support for pots and kettles. Dutch ovens are an excellent companion for stewing, frying and baking. 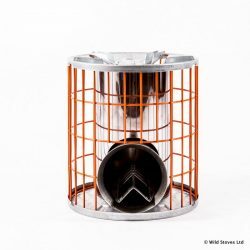 Campfire kettles, ranging from 2.5L to 10L are also compatible with this item. 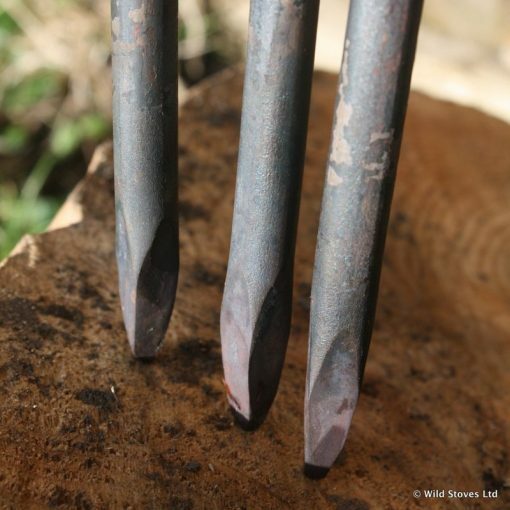 These are handmade items; design features and finish may vary slightly from piece to piece.